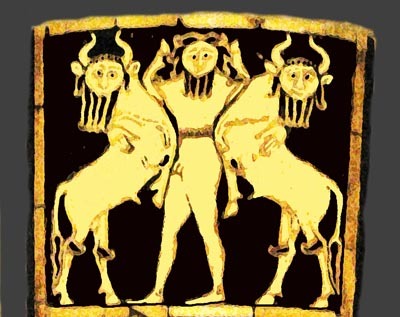 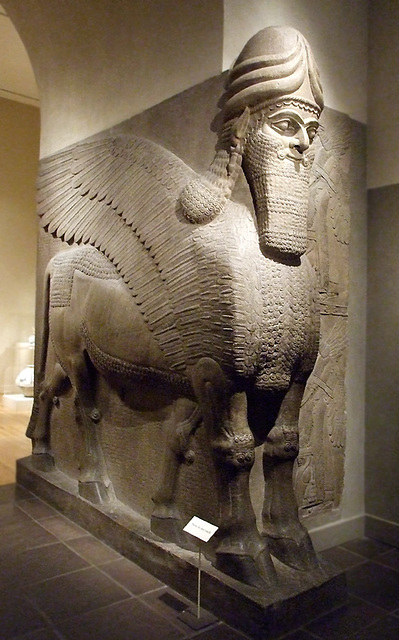 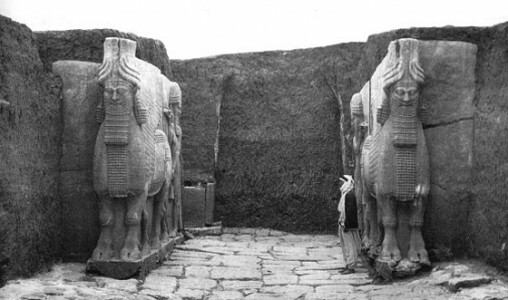 This is a representation of Gilgamesh with the Bull men he defeated, by his side. 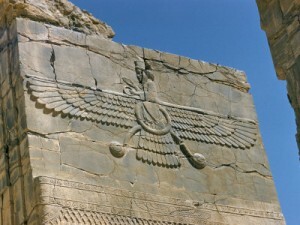 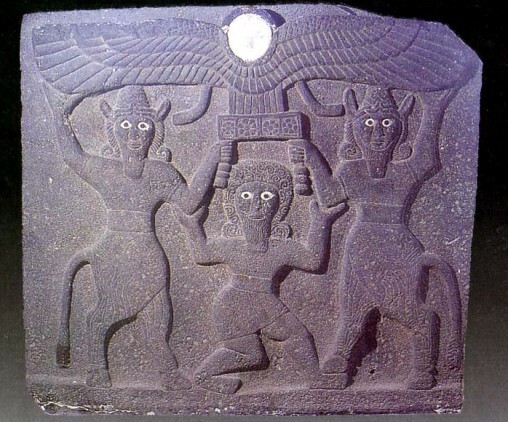 This image shows the winged sun with the god Ashur riding on top of the heavens. 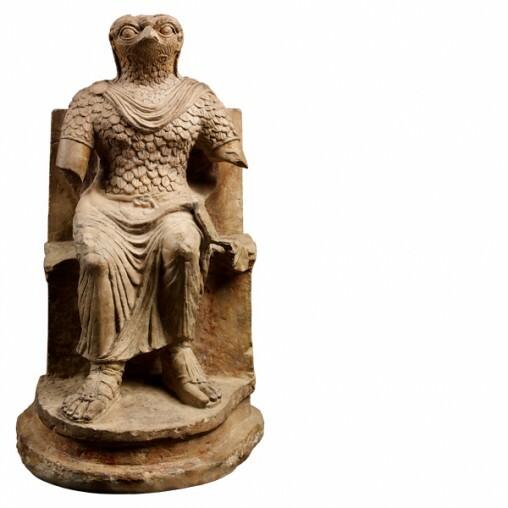 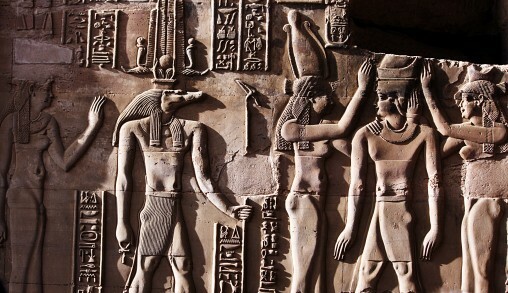 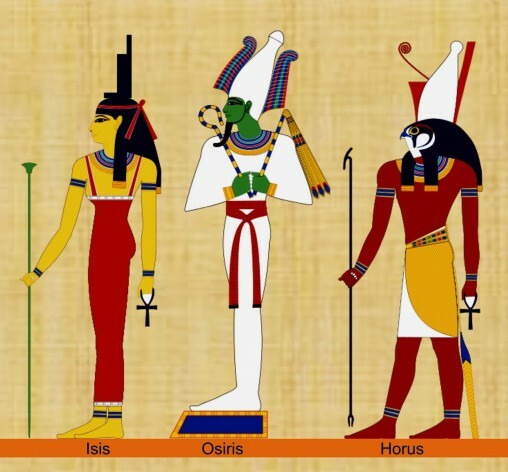 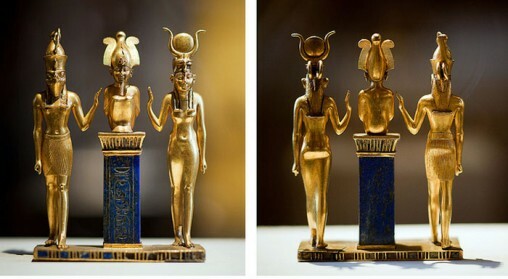 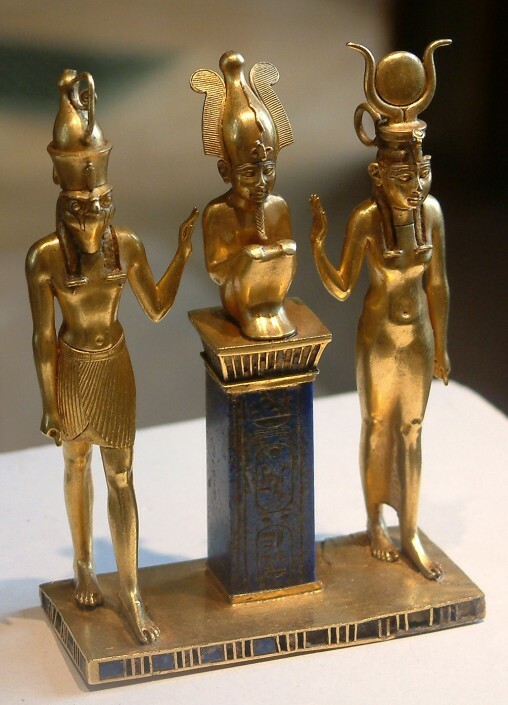 This is a modern recreation of the three figures Isis, Osiris and Horus as seen in the statue made of gold and lapis lazuli.